Whether it's a birthday, a corporate event or just an intimate catch up with friends, the scope for private dining is vast and varied, particularly in the heart of London. So, we've picked our top venues to suit a variety of occasions from cosy pubs to historic houses. You'll find Brasserie Blanc Charlotte Street within a converted Georgian townhouse in Soho. It's been sympathetically restored, maintaining some of its period features, combined with rustic French style. There are two spaces available for private dining; the first floor can be hired exclusively for larger events, alongside an intimate dining room for up to 12 people. With bespoke menus designed by Raymond Blanc, the venue provides an elegant dining experience with fresh and delicious French cuisine. 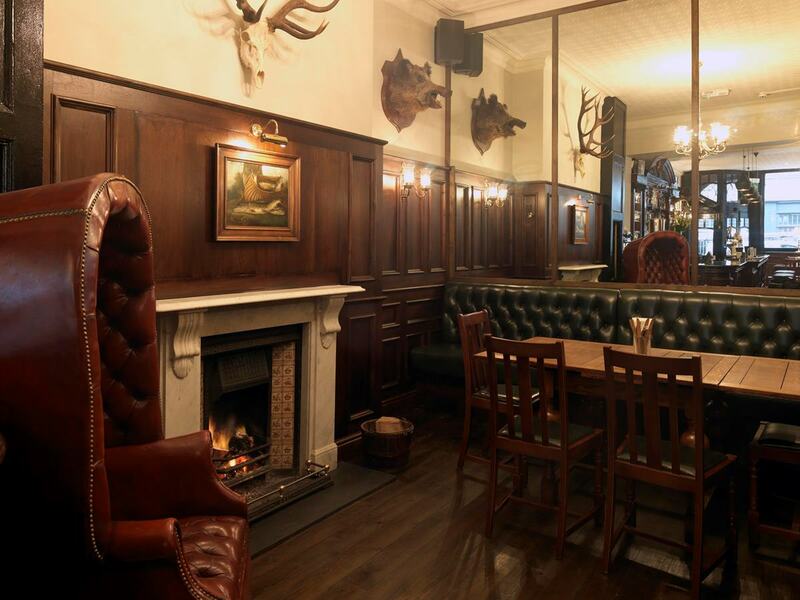 The Hat & Tun is a bustling traditional pub in central Farringdon. It's a stylish and flexible venue which can be exclusively hired for larger parties of up to 100, or for smaller more intimate occasions, the Snug can accomodate 20. It's got a lovely cosy feel and prides itself in its British seasonal menus, perfect for a more relaxed private dining experience. Boasting elegance and an unrivalled location with views of Hyde Park, No.4 Hamilton Place is an authentic Edwardian town house. Once home to the Duke of Wellington this venue boasts a Baroque staircase, a number of chandeliers and it oozes grandeur. 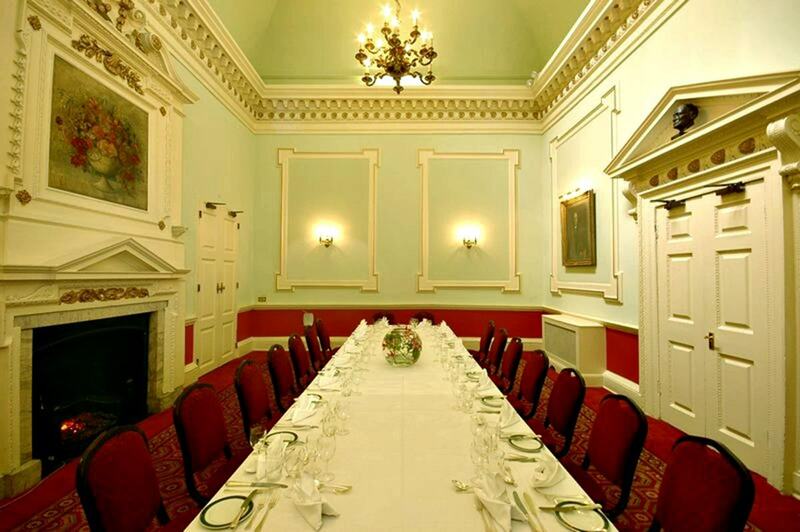 Home to the Royal Aeronautical Society, the whole venue is hugely versatile with a number of flexible spaces. The Argyll Room and Terrace provides a perfect spot for private dining, with Edwardian detailing, large bow windows that flood the room with light and enough room for 120 guests, creating a stunning dining experience, all in the very heart of London. Malmaison's private dining room is located within the Chez Mal restaurant on the lower ground floor of this Grade II listed hotel. 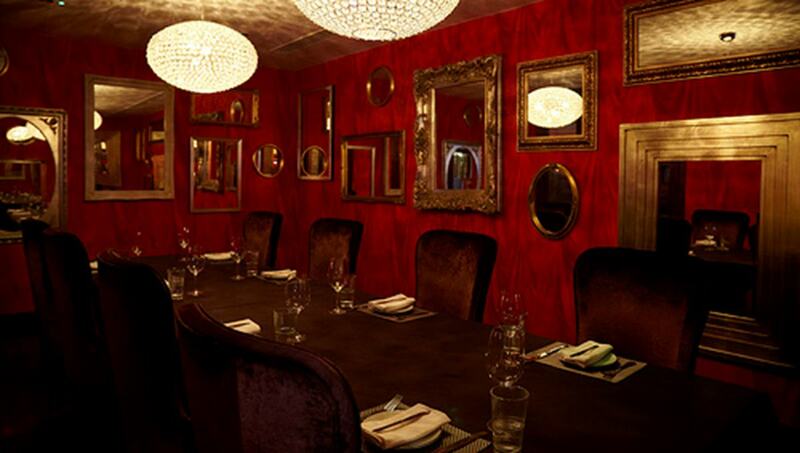 Comfortably seating up to 14 guests with three feature walls of antique mirrors, the private dining room offers flexible levels of privacy, perfect for discreet business lunches or a more relaxed occasion that allows the restaurant atmosphere to flow through. Malmaison are also offering a complimentary glass of fizz and nibbles on arrival for every private dining booking made for May and June, when made through Hire Space. The Dining Room at The Swan is sophisticated, bright and spacious with plenty of natural light. 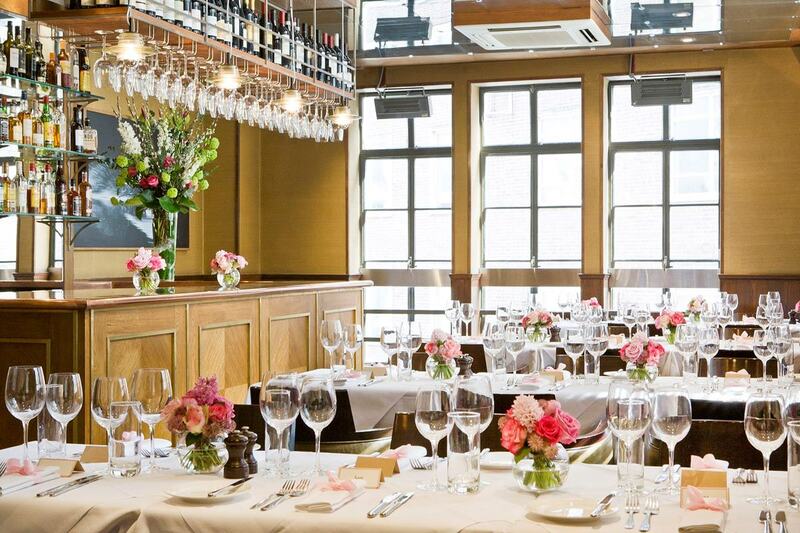 Also based in Farringdon, the venue is suitable for private dining with up to 50 guests. The creative kitchen provides a diverse range of menus including a six-course tasting menus alongside a great selection of cocktails, wine, spirits and beer. Incorporated in 1555 by an Act of Parliament, the Company of Watermen are tasked with managing the waterways of London. Watermen's Hall is an impressive venue and is the only Georgian Hall of its kind left in the City. Located just a couple of minutes’ walk from the Monument, the venue is filled with interesting historical artefacts and boasts original Georgian features, it's a fascinating venue to discover. There are four separate rooms of varying sizes that are suitable for private dining, including The Parlour Room with its stunning stained-glass window. 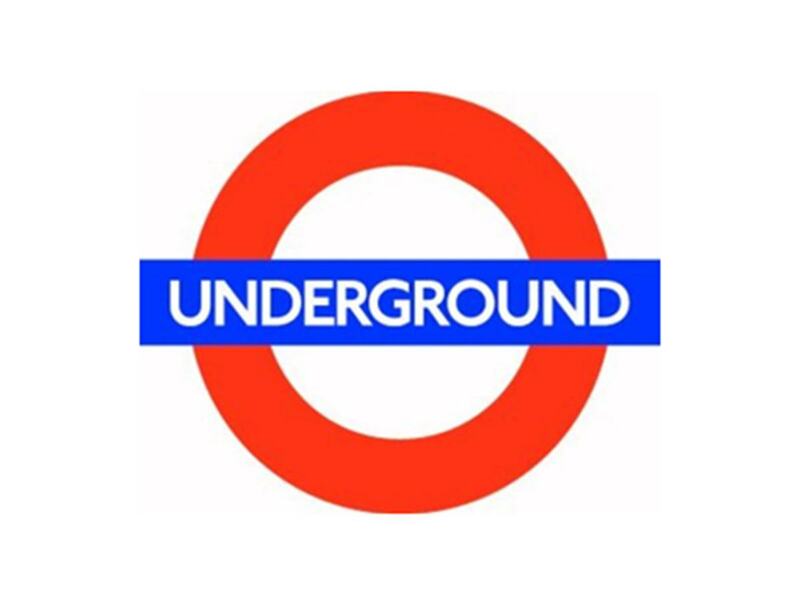 The Royal Over-Seas League is one of London's most unique Private Members clubs. It offers graceful elegance, grandeur and comfort suitable to every type of occasion. Housed in a wonderful Grade I listed building, complete with classical decor and period features throughout. 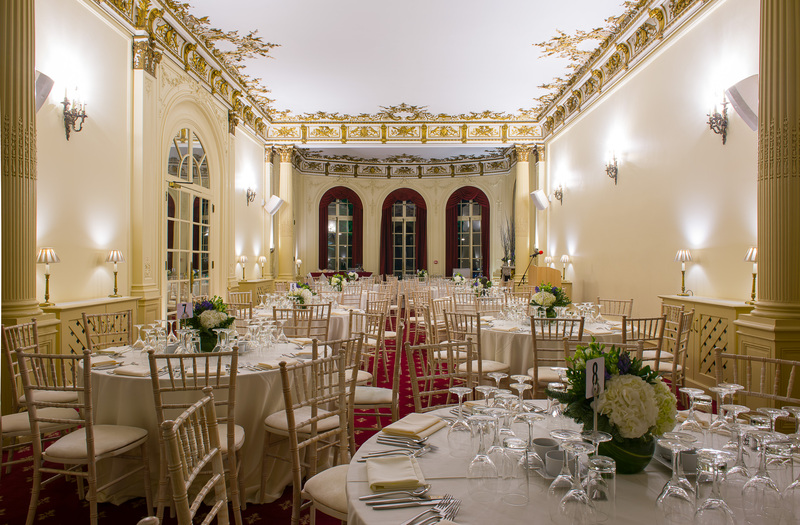 With a number of spaces suitable for private dining events, from the former bedroom of the Dowager of Rutland, to grand rooms overlooking the gardens and Hyde Park, this venue provides a real sense of occasion to any event.